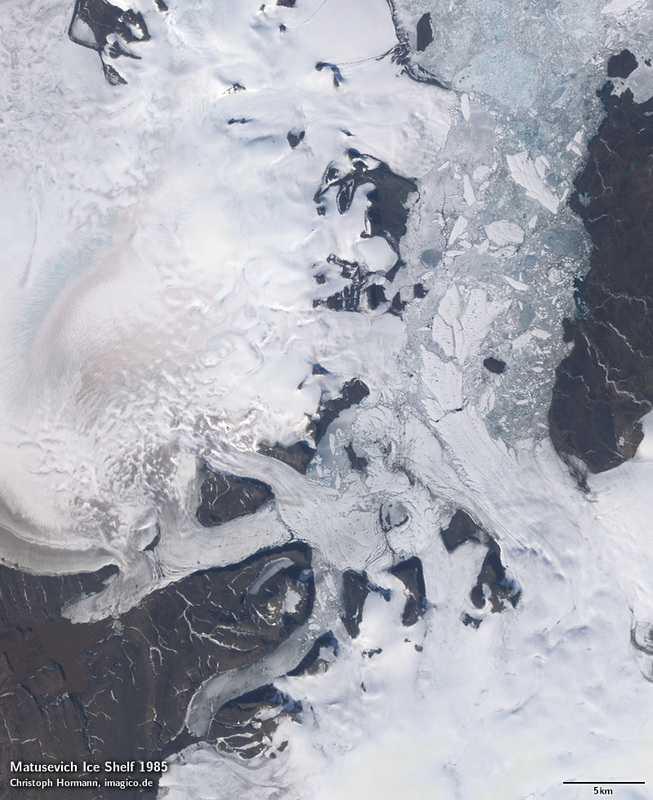 Producing the Severnaya Zemlya map gave me the opportunity to observe many interesting changes in the glaciers of the area over the years covered by the satellite data. 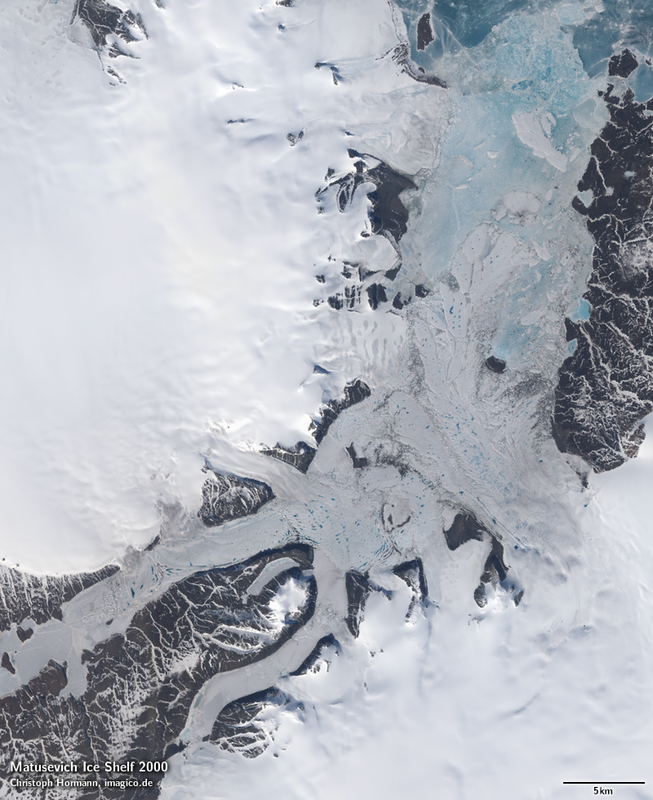 Like elsewhere on Earth glaciers are mostly retreating although there are also local advances. 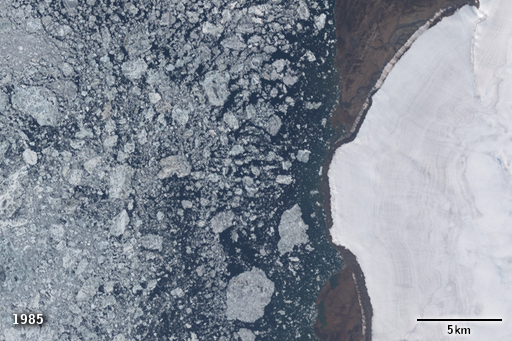 Here i want to introduce two particularly interesting areas. 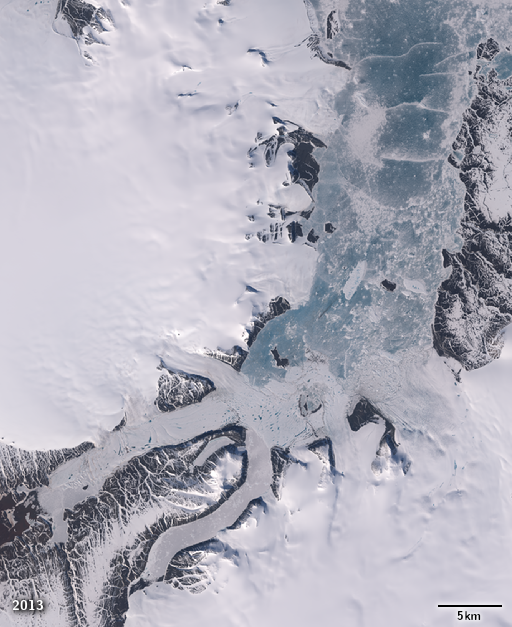 At the east coast of October Revolution Island you can find the Matusevich Ice Shelf – located in a a fjord and fed by glaciers from the Rusanov and Karpinsky Ice Caps. 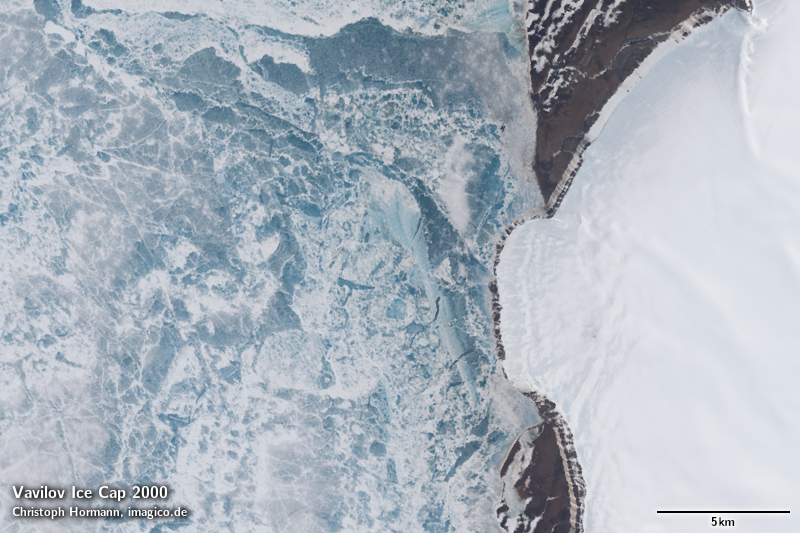 This ice shelf has strongly lost in size over the last decades as illustrated by the following images. 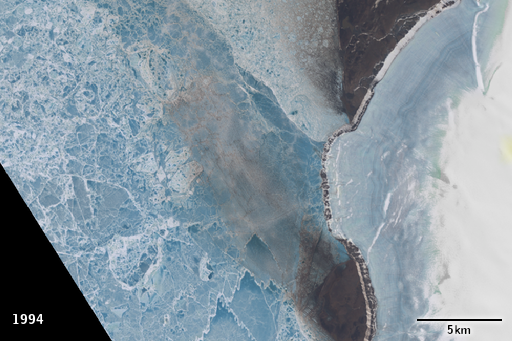 As a help for reading the images – the darker, blueish ice areas are sea ice while the bright ice are glaciers and ice shelf. 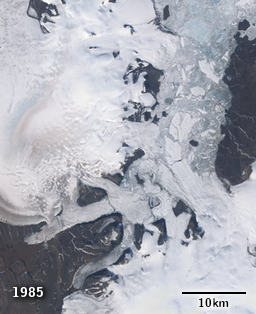 Most of the images are from early summer since cloud conditions are more difficult later in the year. You can also view the same area in the map. 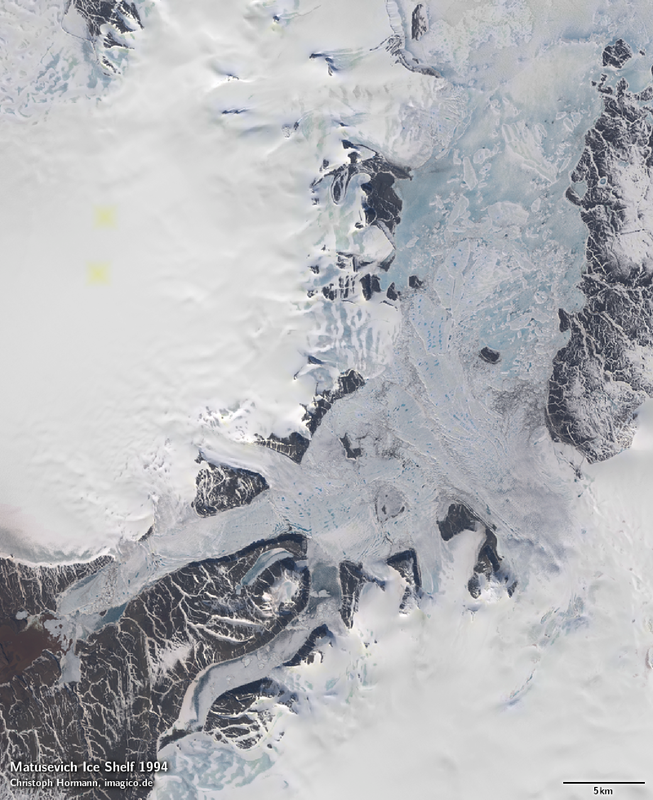 You can see the massive shrinking of the ice shelf in the most recent years with merely the innermost fjord still being covered with glacier ice in the 2013 images. 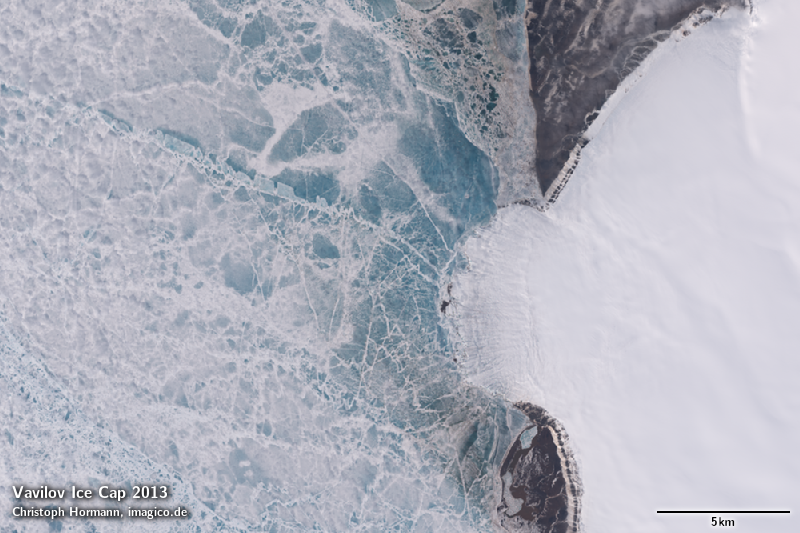 This is mostly because in recent years the sea ice melted in summer much more frequently than before which allowed the icebergs calving from the ice shelf to be transported away more rapidly. It is likely for example that the sea ice never fully melted between 1985 and 1994 since the relative position of the different icebergs is almost the same in both images. 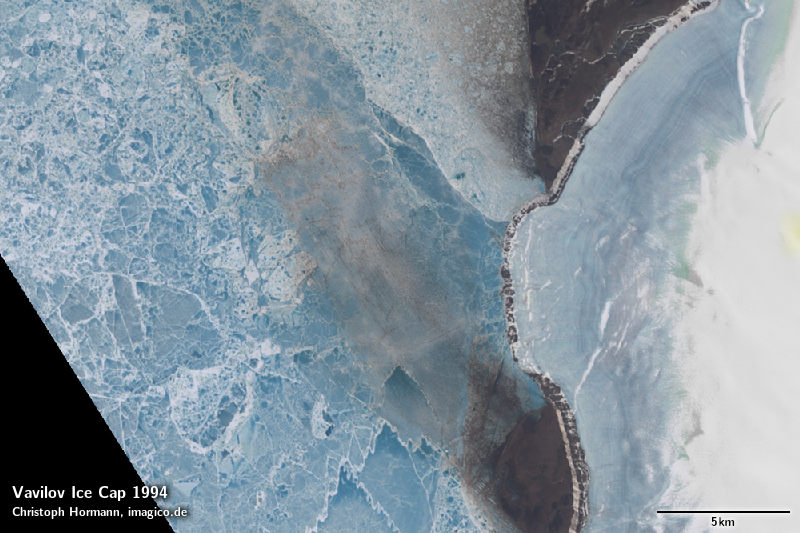 But once the sea ice started melting frequently in summer this changed a lot. 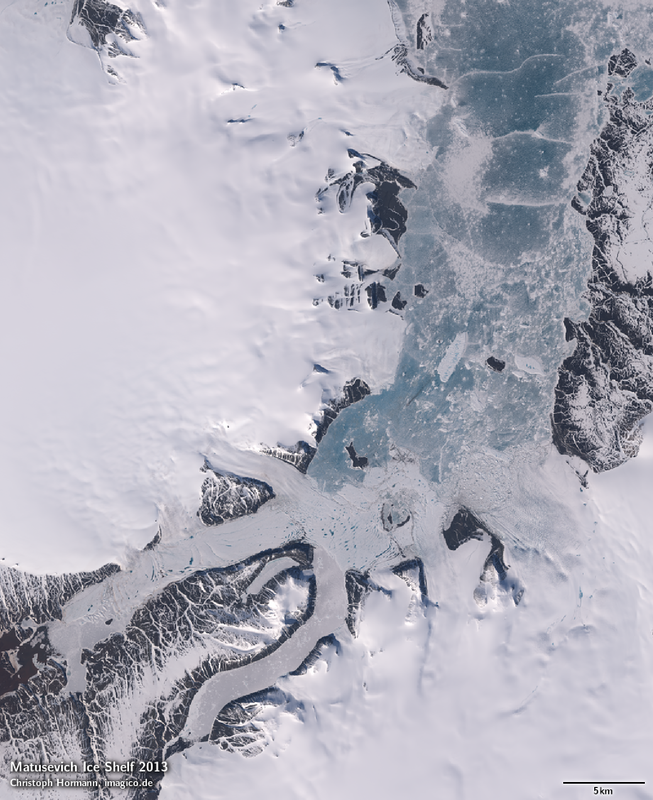 By the end of summer 2013 the sea ice in the fjord has melted once more and all the icebergs and loose pieces of the ice shelf visible in the above image have been transported away by the ocean. 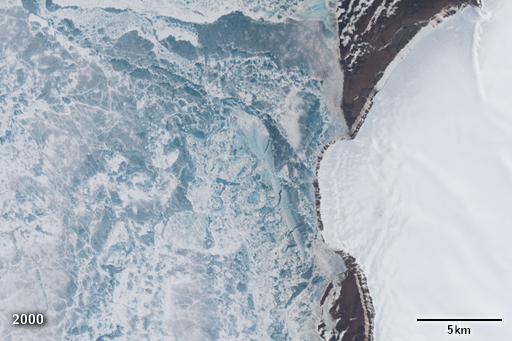 In the west of the same island you can find the Vavilov Ice Cap which reaches the coast only in a small area in the very west. 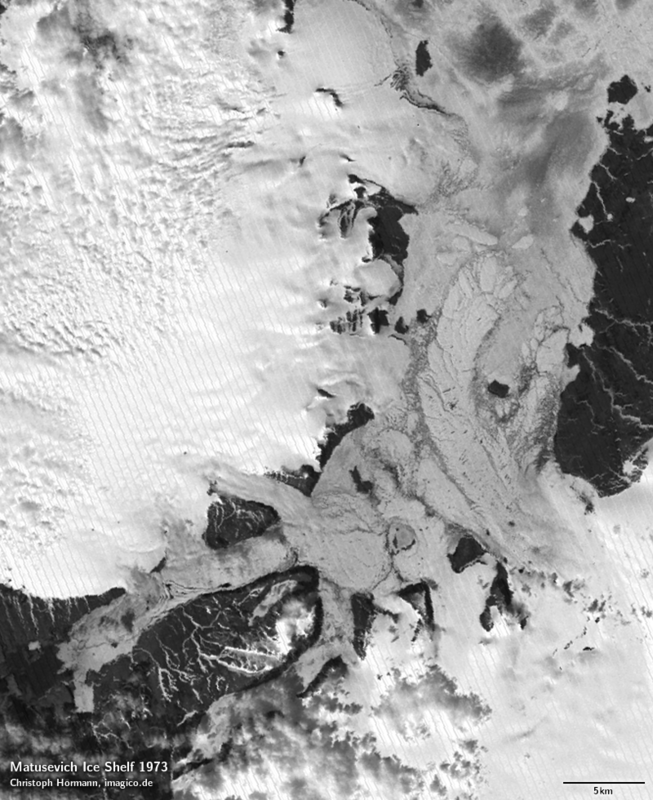 This area has shown a fairly rapid advance of the ice in recent years as the following sequence of images shows. The 1994 image in addition shows how wind from the east has blown dust from the ice free areas at the coast onto the sea ice. 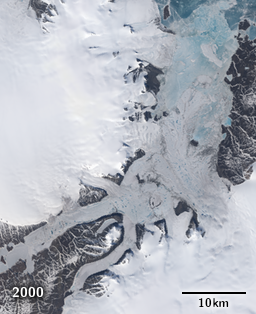 This rapid change by the way confuses the assembly of the satellite image mosaic so you can there see the different stages of this glacier advance all together. 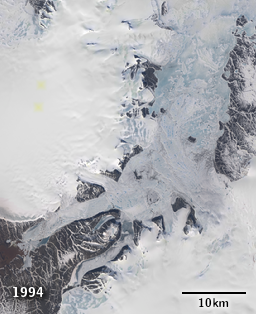 All images above are based on USGS Landsat data.